The owner of this fine Simmer Blacktip must have been gutted when his wave trick ended in a wipe-out. 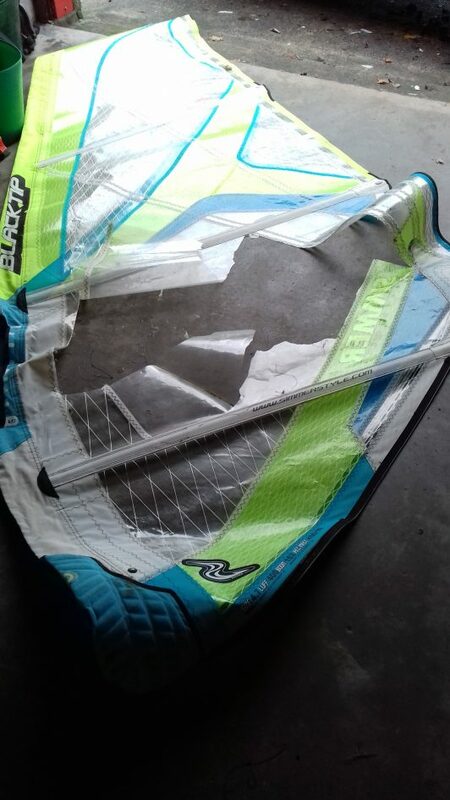 But he hasn’t been off the water for long – the 3 damaged panels have been expertly replaced by the skilled team at RB Sails in just a few days. Each panel is pretty much a perfect copy of its original (minus logos!) – using the appropriate x-ply and monofilm. Julie and Steve can even replicate a panel which is largely missing – as on this Simmer 4.7. The repairs are as near to a reconstruction as possible. 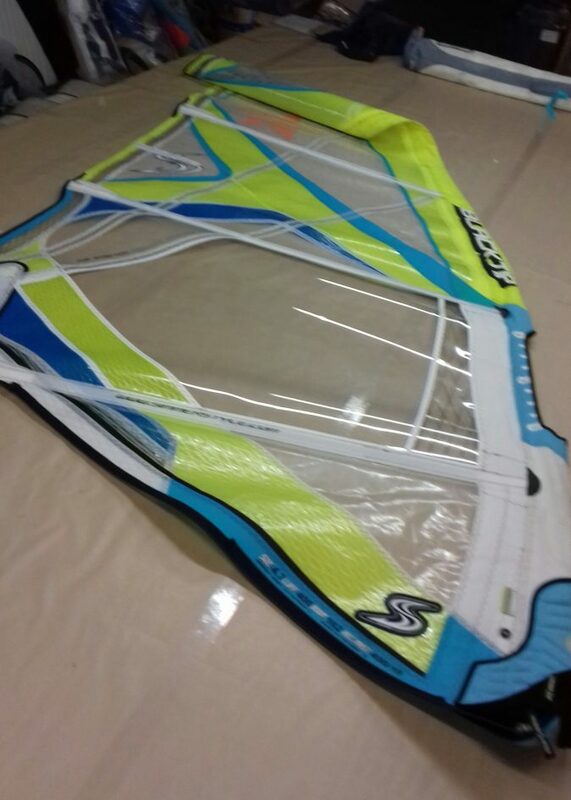 This means that the new panels are not simply sewn on top of the damaged sail but are properly integrated into the remaining components and set, with precision, into the batten pockets; skills passed on to the team by Ian – owner and sail designer/maker. The extravagant care which goes into the preparation of a new panel takes far longer than the sewing. But this attention to detail pays off and often the lovely clear new panels are an improvement!